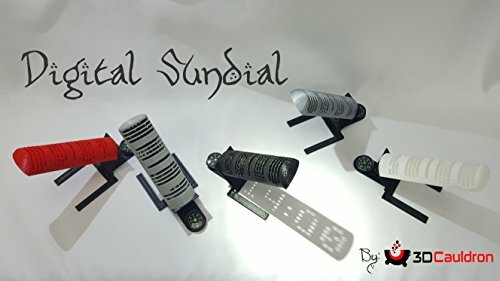 3D Printed Digital Sundial - Moar Stuff - You don't need it but you know you want it. This 3D Printed Digital Sundial displays the time inside its shadow, with actual digits! There are no batteries, no motor, and no electronics. It’s all just a really super-fancy shadow show. The complicated shape of the sundial has been designed to only let through the right sun rays at the right time/angle. This allows to display the actual time with sunlit digits inside the sundial’s shadow. It works for about 6 hours a day (between 10:00 AM and 4:00 PM) and can even be adjusted for Daylight Savings Time. To setup the sundial, you need to have it on a flat surface and in direct sunlight (duh). Next rotate the gnomon (the magic box that displays time) until the digits in the shadow display the correct time. You can even mount a small compass to help you align it, as shown. 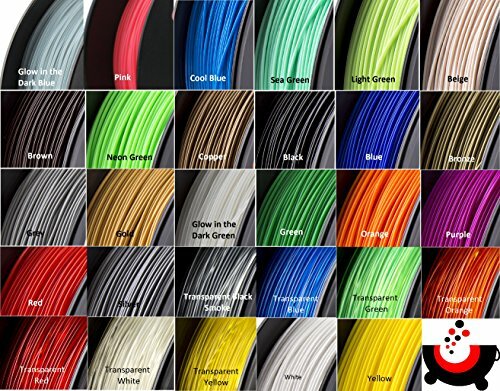 Have a good 3D printer, extra filament and about 40 hours to spare? You can make your own digital sundial using these plans. 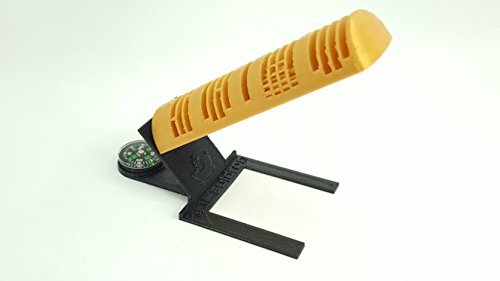 This item is 3D printed, so may need to sand, paint or otherwise clean it up before you try to use it. The maker often leaves support material (extra plastic bits) attached to protect the item during shipping to help protect it. Versions for Northern and Southern Hemispheres. 3D printed from ABS plastic. Works between 10:00 AM and 4:00 PM and updates every 20 minutes. It’s a sundial, not a modern clock, after all.